Gracy Accad, known for her modern romantic bridal collections, is bringing her youthful elegance to the Bloomingdale's 59th Street, The Registry on Wednesday, April 10, 2019, to kick off New York Bridal Fashion Week. Gracy will present her 2020 collection in an informal presentation at Bloomingdale's 59th Street flagship store on the 7th floor with live models showcasing her latest designs. The backdrop of Bloomingdale's world-class Bridal Registry housed on the retailers' 7th floor will lend a refined yet unexpected element for the presentation while allowing for media, customers and brides-to-be to enjoy Gracy's works of art up close. "It is so thrilling to be the first designer on the New York Bridal Fashion Week schedule," says Accad, "and to be showing at the gorgeous Bloomingdale's bridal registry makes this fashion week all the more special as I continue to extend my reach toward the fashion forward millennial bride. We're excited to kick off Bridal Fashion Week and partner with the Bridal Council in an innovative way," says Nicole Vellucci, Bloomingdale's Vice President Shopping Services. "We love this modern approach of providing consumer access to Bridal Fashion Week while also supporting the next generation of designers. This partnership allows us to engage with our customers and Registrants in a compelling may that feels different and fun." Working with The Bridal Council, the non-profit organization that promotes the industry, Bloomingdale's is supporting the next generation of bridal wear designers. "The Bridal Council is proud to present the first presentation of "The New Guard" at Bloomingdale's," says Rachel Leonard, Editorial Director of The Bridal Council. 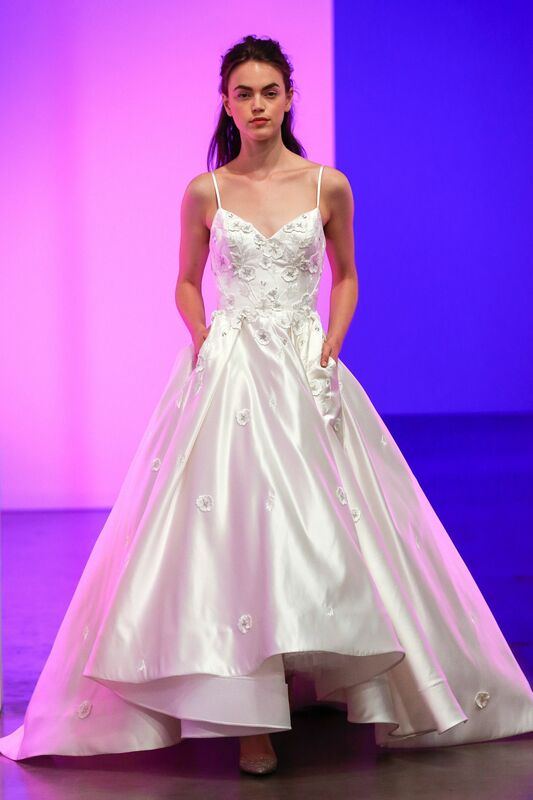 "Gracy Accad's modern, refined elegance is representative of the next generation of bridal designers." Having come from a family whose heritage is rooted in the textile industry, this New York-born, fashion designer sources only the finest materials. Her looks arealways enduring and timeless, but still maintain a modern edge. Martha Stewart Weddings says, "It's time to put Gracy Accad on your radar."